As congressional negotiators on Thursday discussed their progress in coming to an agreement on a $154.2 billion spending package, no lawmakers mentioned the dispute between the House and Senate over whether to give federal civilian employees a 1.9 percent pay raise next year. But the prospects of a pay hike for federal workers are looking strong. After announcing a bipartisan deal to avert a government shutdown next month, congressional conferees suggested that most of the key outstanding issues in the appropriations "minibus" that would contain the pay raise involve so-called policy riders attached to the vehicle and not the raise itself. The bill also includes appropriations for the Interior Department; the Environmental Protection Agency; financial services; the Agriculture, Transportation, and Housing and Urban Development departments; and other agencies. Although the Senate included a 1.9 percent pay increase for federal employees in its version of the spending bill, the House included no language on federal compensation in its legislation, which effectively endorsed Trump’s pay freeze plan. Trump has recently both formalized his plan to freeze federal compensation, and suggested he may reverse course. Last weekend, Rep. Barbara Comstock, R-Va., issued a statement saying that she secured support for the Senate pay raise proposal from the leadership of the House Appropriations Committee. After the conference committee meeting Thursday, Frelinghuysen declined to say the House conference had assented to the pay raise, describing it as something that is “still under negotiations.” But he also seemed to confirm Comstock’s comments. 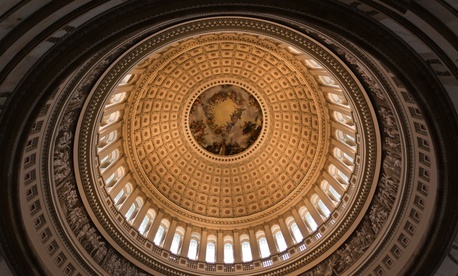 A Government Executive analysis of the conferees’ voting record and statements regarding a 2019 pay increase suggested that odds could favor feds hoping for a raise. All Senate conferees voted for the minibus containing a 1.9 percent pay raise. In the House, all six Democrats are supportive of a pay raise, and Rep. Tom Cole, R-Okla., has thrown his support behind the measure as well. If Frelinghuysen ultimately supports a pay raise, that would amount to a majority of House conferees, enough to approve a compromise bill. Conferees have indicated that they remain divided on a number of other provisions of the minibus, however, and that Congress likely would maintain funding for the agencies covered by the bill as part of a continuing resolution running through Dec. 7.